This week, Kings is festooned with glittery decorations and pictures of TV and pop stars and shows for the 2018 Charities Week theme of “Throwback,” looking back over the years of showbiz. Organised by the Senior Student Team who have plotted and planned for the week ever since their appointment to their esteemed top student positions in the school; they are however, doing anything but looking back as they look to the future by fundraising for their three chosen charities: SUDEP, Bristol Children’s Hospital and Avalon Camps. With events at breaktime and lunchtime it is set to be a memorable week to look back on. At the time of writing, the start of the week began with Kings’ favourite events waxing and shaving, when some volunteer students left the Main Hall a bit lighter on top and some brave boys even ventured into the world of beauty when they had their armpits and legs waxed (ouch!). 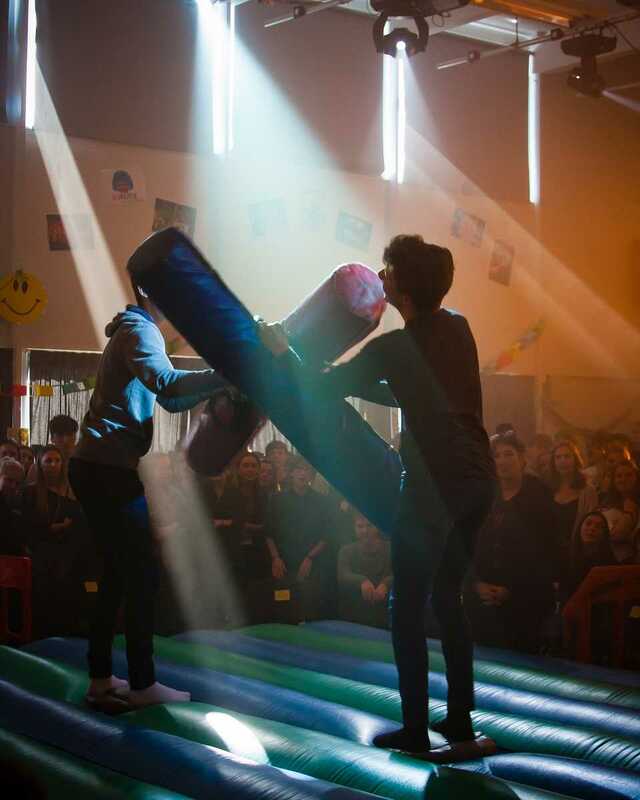 At lunchtime for the eponymous event Raven led by character Raven, intrepid warrior pairs waged war with battle beams and the added challenge of staying balanced on a twisty mat on top of a wobbly inflatable. 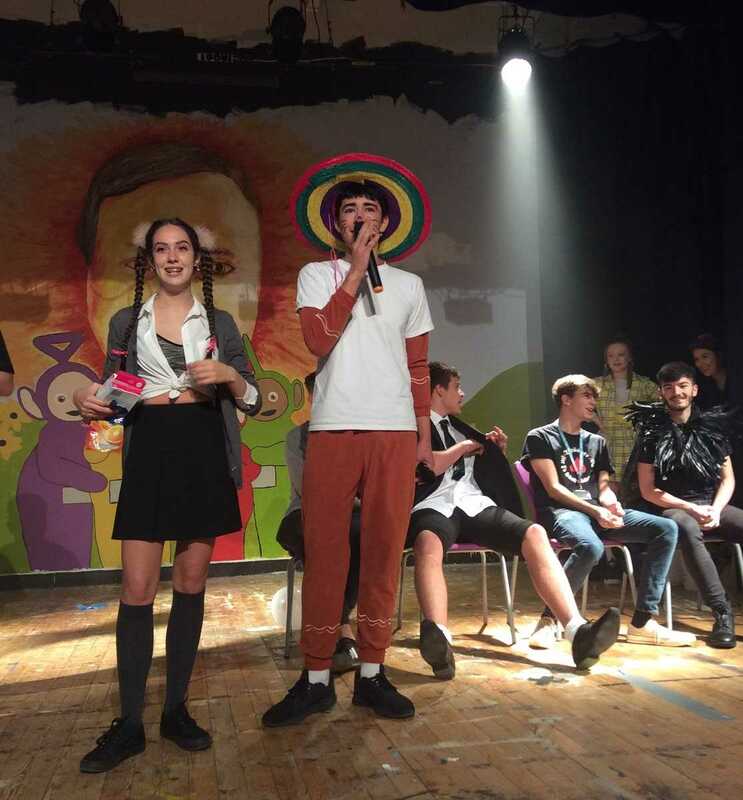 There were some compelling battles with brother and sister duo James and Jennifer Hughes, a Sixth Form boy in a pink glittery bikini over his battle kit and Teacher of P.E. Miss Manley and Teacher of Physics Mr Smith in a closely fought encounter. Next up was Big Cook Little Cook when intrepid contestants with a strong constitution tucked into cunning concoctions as the audience watched agog, glad that they were not the ones dining on the top table that day. Teacher of Geography's Mr Neal Putman feasted on a revolting mixture of gherkins and pickled onions, Angel Delight (a definite throwback to the 70’s childhood for some observing members of staff), frankfurter sausage, cabbage, rice pudding - glued together with what could and should have been tasty British staples, mashed potatoes and baked beans. Great British Menu it was not. 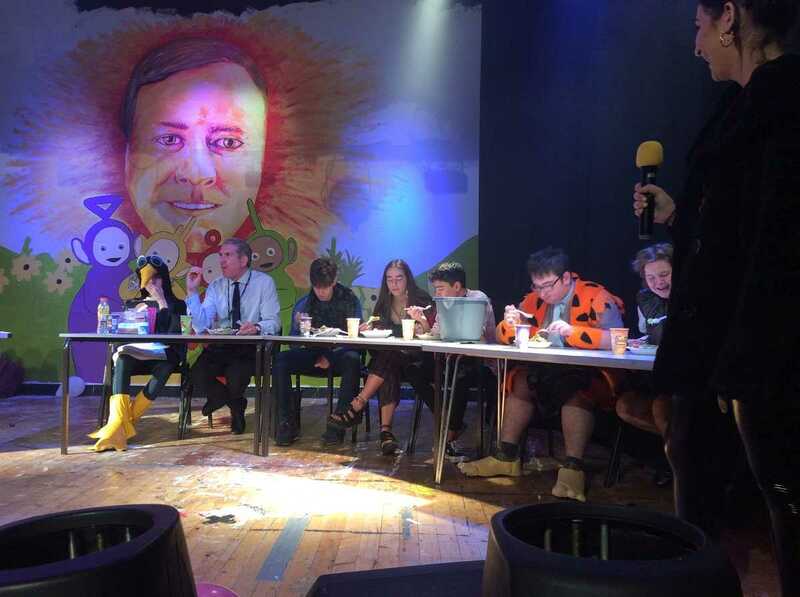 The rest of the week has some of the traditional Charities Week ingredients to look forward to – Blind Date, Gunging, Black Market - when it is the turn of Tutor Groups to set up their stalls and make money for the charities, Top of the Pops, Lip Sync and the all-time Kings’ favourite, Rock and Roll Years. The Senior Student Team led by Head Boy and Girl Sam Kail-Dyke and Lucy Bishop (AKA Austin Powers and Vicky Pollard for this week) are hoping this year’s Charities Week will be one to look back on for years to follow.